Raw spring onion chutney is a simple and yummy chutney recipe made with the goodness of raw spring onions and raw tomatoes. 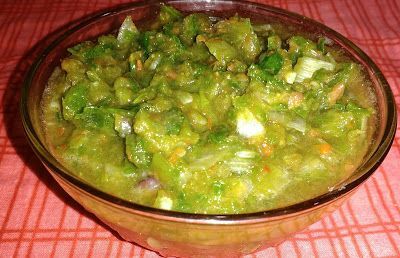 It is easy and quick chutney recipe. It has a unique taste and flavour. 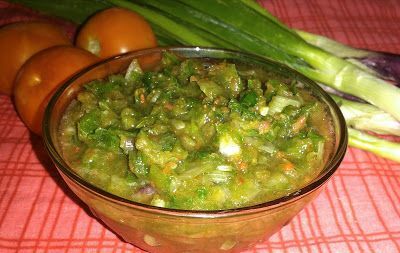 People who like raw spring onions in the salad will love to eat this chutney. It tastes great when a little-melted ghee is added to it when eating. Serve it along with any type of bread like chapattis, parathas etc. Wash and roughly chop spring onions, tomatoes, and green chilies. Grind spring onions, tomatoes, and green chilies in a blender to a coarse chutney. Do not grind it longer as we need a chunky texture, not a smooth paste. Add salt and mix well. 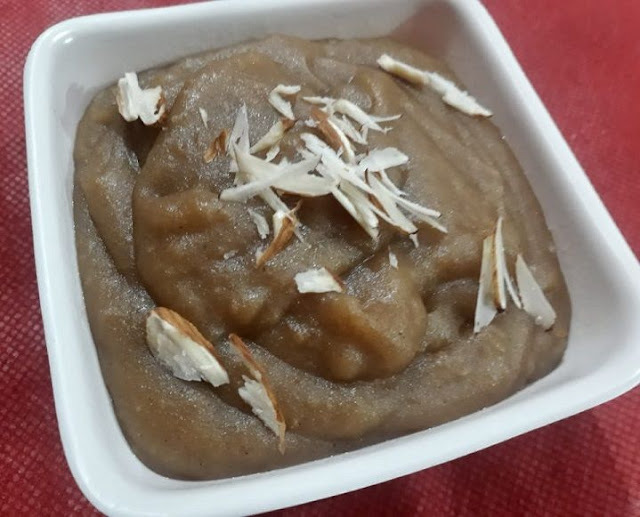 Serve it with roti-sabji, parathas-sabji or dal-chawal. (Note: Red chili powder can also be used in place of green chilies). Green onion is a nutritious plant. It tastes great and provides various benefits to our body. Spring onions have the benefits of onions and greens. They are good source of vitamin “A”, “C” and “K”. Spring onion helps in digestion when used as an appetizer. The sulphur present in spring onions help in lowering the blood sugar levels.